Wood accents, modern bath fixtures, and luxurious textured surfaces complete the magical appeal of this bathroom. Designing a bathroom is a joy when you have the freedom to do so. 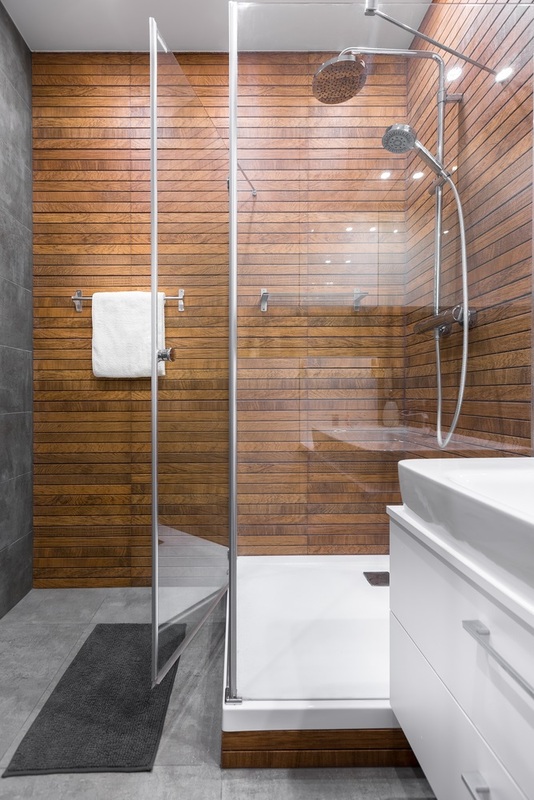 In this home, there’s a grey bathroom with a wooden shower. 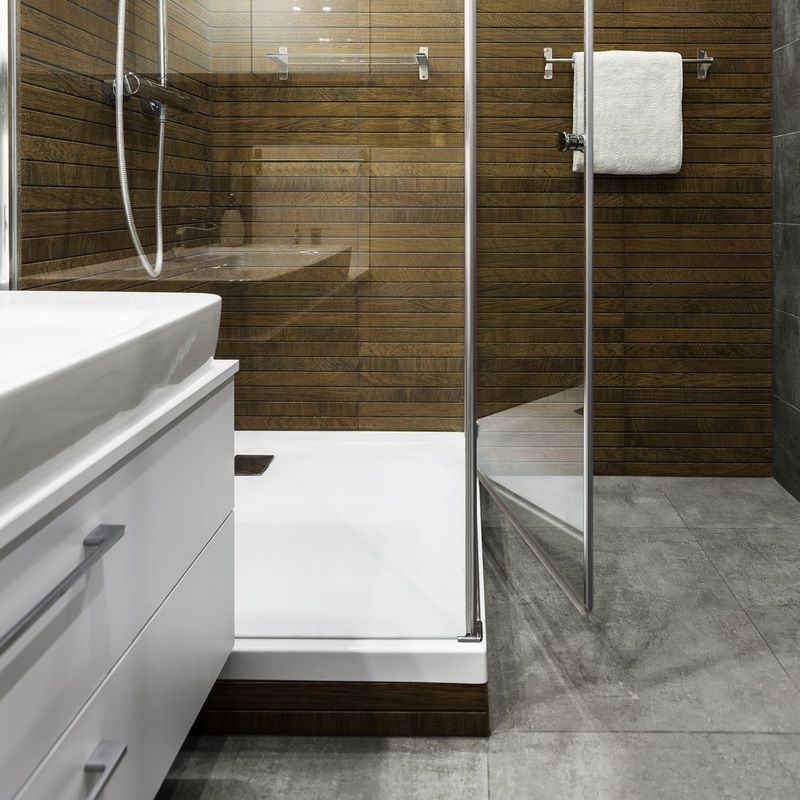 This contemporary bathroom is not boring, to begin with. The colours and the design elements make it a small paradise in the house. The designer used honey and rich brown shades of wood. 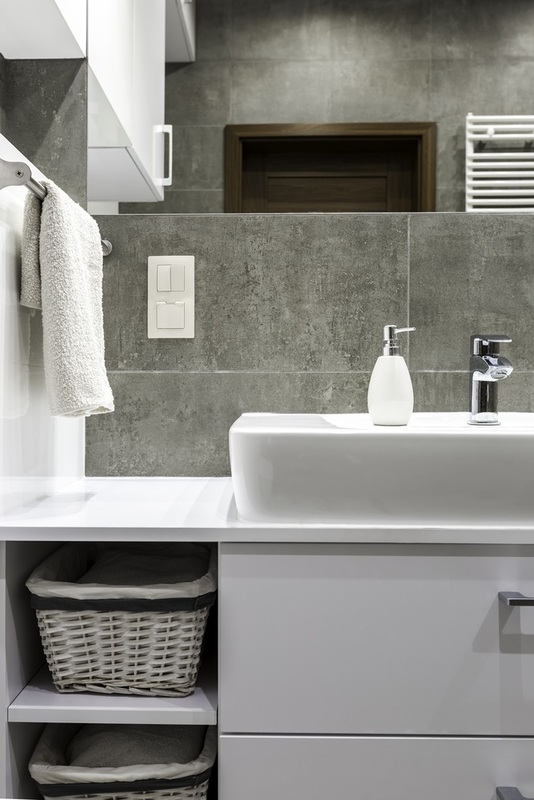 These lovely natural wood tones match with the dark grey tiles. These create winning bathroom decor. 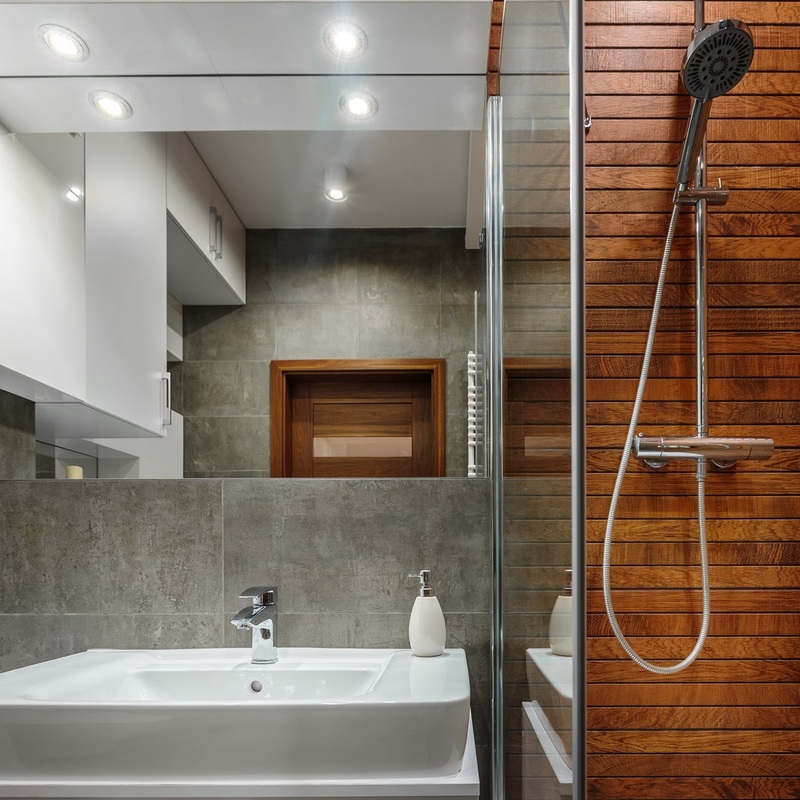 This is one of the most fabulous wooden shower that you will see today. It’s made of teak wood, sanded, oiled, and coated with marine varnish. Teak is wood with very tight grains. It resists water well and won’t rot in high moisture areas. But, like any wood, you must seal it with teak oil or a fresh coat of wood conditioner from time to time. 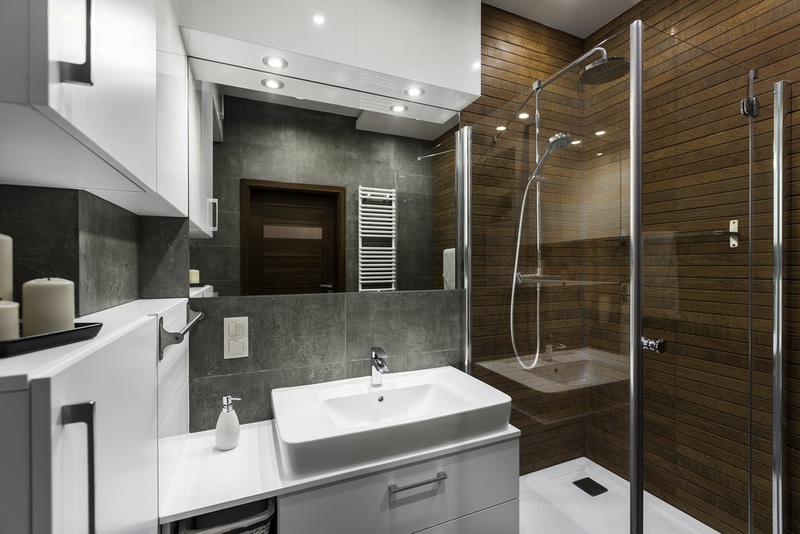 There are lots of ways to incorporate wood in your bathroom design. But, this one makes a bigger impact. It’s one of those designs that make you say; “This is awesome” every time you take a shower. 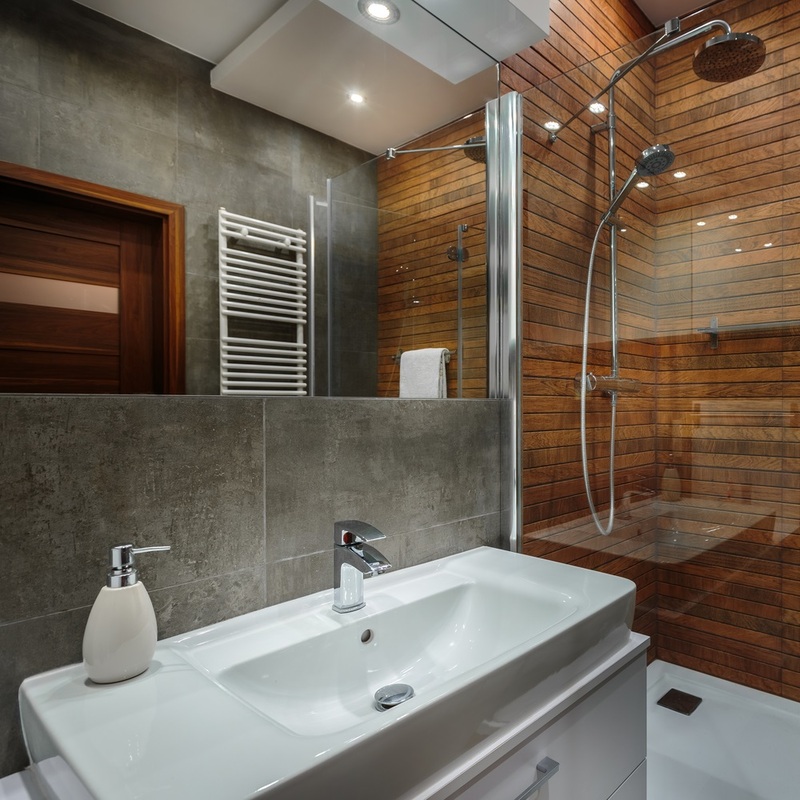 It gives the bathroom a wow factor. Wood provides a sense of harmony and well-being. Imagine how helpful that is whenever you take a relaxing shower. Plus, it’s hard to resist the beauty and authenticity of wood. You will love it, and your guests will be amazed when they see it.